Get a Degree Designed For Leadership. Explore Your MSL Options Today. The MS in Leadership is designed to offer professional development with a focus on such skills as implementing organizational shifts, managing diverse teams, and driving continual improvement. The leadership program differs from a Master of Business Administration (MBA) in its focus. An MBA places emphasis on developing analytical skills that support management functions. Alternatively, an MS in Leadership emphasizes a coaching approach to leadership, focusing on how to build successful teams that can achieve business objectives. While the MBA teaches business foundations such as accounting or marketing, the MS in Leadership helps expand the potential of experienced business leaders who see advancement potential in going beyond business foundations to focus on more sophisticated team management. Who might earn this degree? The MS in Leadership applies to a wide range of professionals, including those seeking to inspire positive change in their organizations or to expand their leadership skills for career advancement. Why earn an MS in Leadership? The wide range of applicable fields for an MS in Leadership degree makes it an option for individuals who want flexibility to propel their careers in diverse directions. A leadership program can open the door to career changes or prepare individuals to drive social change through entrepreneurial initiatives. An MS in Leadership offers a curriculum that zeroes in on enhancing team efficiency, productivity, and profitability to help students develop skills currently in demand by today’s organizations. The MS in Leadership degree focuses on empowering people and creating positive change. As such, it tends to be satisfying for individuals who work with a strong desire to motivate others and help them grow. An MS in Leadership degree prepares professionals for a diverse range of management fields, and demand for managers is growing at a steady pace. An MS in Leadership can be a stepping stone into any of those fields, as well as many other management sectors. Most programs require 30 or more credit hours, with areas of study including decision-making, organizational culture, negotiation and performance management among primary areas of study. Each of these accreditations has slightly different points of emphasis, but each also focuses on evaluating the quality of business management programs, not just the institutions that provide the degree. While program length can vary based on required electives and pacing decisions made by different institutions, most will require at least 30 course credits. Many universities allow students to choose how many courses to take per semester, leading to program completion times that vary from a year to up to two-and-a-half years or more. Online-only programs are widely available, but some do require residencies or international experiences as part of the curriculum. Many institutions track graduation rates, job placement, and similar statistics to help prospective students identify their job prospects upon completing the degree. In some cases, individuals may also be able to access testimonials from former students to help them get a feel for what they can expect upon successfully completing the program. What is the purpose of an MS in Leadership? The Master of Science in Leadership is a degree program focused on equipping learners with leadership skills that are applicable across a wide range of job roles and industries. Often compared to a Master of Science in Business Administration (MBA), an MS in Leadership puts less emphasis on the accounting, marketing, and similar hard skills included in an MBA and instead focuses on problem-solving, communication, and related competencies. What should an MS in Leadership student expect to learn? These core skills are in demand among businesses, and they align with the course outcomes common within an MS in Leadership. The MS in Leadership is primarily focused on allowing an individual with expertise in a specific field to advance into a leadership role. It is also popular among consultants who help businesses as they go through periods of change or disruption. These programs tend to share similar core course outcomes as a general MS in Leadership, but they put a greater emphasis on the operational dynamics and competency requirements of specific industries. They will generally require a bachelor’s degree or experience working in those industries. In terms of career progression, the Bureau of Labor Statistics (BLS) Occupational Outlook Handbook points out that many management jobs only require a bachelor’s degree, but individual organizations often prefer a master’s degree. Management requirements are changing as many businesses shift away from producing products and put their emphasis on delivering services. 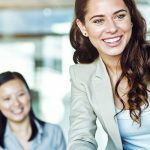 Compare this list of popular soft skills to the courses and competencies offered within an MS in Leadership program and you’ll find a great deal of crossover. These skills closely align with many learning outcomes associated with MS in Leadership programs, ensuring graduates are ready for today’s workforce. The BLS found that occupational growth for managers stands at approximately 6% for the period of 2014 through 2024. This represents a normal, steady growth rate. Salaries can vary a great deal from industry to industry. Based on BLS data, sectors with lower salaries are often in nonprofit sectors positions with lower degree requirements, such as lodging or service. Fields with more training required, like those detailed above, often have higher average salaries. The broad nature of the MS in Leadership means that it can benefit applicants seeking management roles in a variety of industries, but it is rarely considered a prerequisite for a specific career. The MS in Leadership is often best suited for individuals with a bachelor’s degree and enough experience in a field to gain the technical expertise needed to focus on leadership as they pursue education. The Fast Company report mentioned earlier pointed out that MBA candidates often run into difficulties because they have the technical know-how needed to succeed, but they lack the experience to lead. The MS in Leadership is typically designed for those with the experience to avoid that outcome. Contract negotiation: The study found that negotiation is becoming more important in management jobs and can lead to roughly a 5% salary premium. Strategic project management: Being able to balance big-picture thinking with managing details is important, and those with the skill end up with, on average, a 4.4% pay premium. Strategic planning: Beyond positioning individuals for an executive role, this skill leads to a 4.3% pay premium. Where do leadership professionals work? The broad nature of the MS in Leadership means that there aren’t many geography-related issues to worry about when choosing a degree. However, you must consider the industry you hope to advance in and take any geographic concerns presented by that sector into account as you consider job prospects. The MS in Leadership Curriculum focuses on providing learners with leadership skills that are applicable across a wide range of disciplines. Participants often hail from sectors as varied as sales, human resources, public sector agencies, and even the military. Students pursuing a master’s in leadership degree must consider their long-term career goals to identify programs that offer the specializations that may be relevant in the industry in which they expect to work. However, the intentionally broad nature of the degree makes the core curriculum applicable in diverse settings. Develop the specialized knowledge of leadership theories needed to create and implement leadership models across an organization. Integrate knowledge from a variety of social, interpersonal, and global competencies to inform leadership efforts. Understand the implications of diverse work environments in order to solve problems related to global, highly collaborative work settings. Incorporate broad leadership skills to foster change and innovation. Specializations within an MS in Leadership program exist as an extension to a core curriculum. For example, an MS in Leadership curriculum with a specialization in human resources will offer the same core courses as a general MS in Leadership. But it also will provide courses specific to human resources, such as managing business partner relationships. Leadership in military settings. These programs emphasize decision-making, risk management, historical leadership practices, and how to deal with particularly dynamic operational environments. Leadership through service. These programs focus on what it means to lead through service, with courses covering issues such as community empowerment and collaboration, social justice, and discernment. Leadership within human resources. These programs emphasize human resources-specific competencies, as mentioned above, with courses focusing on talent and performance management. Leadership in global work environments. These programs deal with globalization and the impact that diverse workforces have within an organization. Curricula often include some element of international travel. Leadership in health management settings. 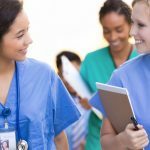 These programs are often a stepping stone to future Doctor of Medicine studies and addresses unique leadership requirements for the health care administrators. An asynchronous learning program features static materials — message boards, on-demand video, etc. — that users can consume on their own schedules. Synchronous programs feature webcam sessions and similar activities that take place in real time. Based on program descriptions from a variety of universities, the online MS in Leadership degree is built around interpersonal and experiential skills, so most programs will incorporate some form of synchronous learning. However, they also tend to incorporate asynchronous learning opportunities when possible to accommodate the schedules of working professionals. Cohort class systems, in which students spend the duration of their program with the same group of students, have become popular as they give participants an opportunity to bond and support one another. However, they can also limit flexibility within the program because learners must enter and complete the program on a common schedule. Make sure to analyze the programs you are considering carefully to find an option that fits best with your learning style. MS in Leadership programs are built with a heavy emphasis on educating working professionals. Based on analysis of a variety of degree programs, most include online learning options with some residency, special trips, or similar experiential requirements. In terms of content and education provided, the differences between online and on-campus programs tend to be minimal, and many programs operate primarily online. A capstone course is a culmination class in which students study a highly specific issue within their area of learning, often completing a project. A thesis, on the other hand, is a highly structured research paper that goes through an extended review process. Completion of either a capstone or thesis project will vary from program to program when pursuing an MS in Leadership. Be sure to analyze the specific programs you are considering based on your preference for completing these projects. Similar to capstone and thesis projects, residency requirements will vary among programs. 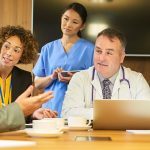 Institutions that do require residency typically do so in order to incorporate specialized areas of study into the curriculum or help students build a real-world skill set. In addition to residencies and capstone projects, some programs incorporate specific types of experiences into the curriculum, with international learning options among the most common. The increasingly global nature of business has led some institutions to offer short, one-or-two-week experiential learning experiences abroad, usually centering around attending a conference or forum in another country. An MBA and MS in Leadership both prepare individuals for important management roles and incorporate similar areas of study, but they emphasize different competencies. An MBA is among the most common business management degrees pursued within the workforce, according to a report by Fast Company. However, increased focus on leadership is making the distinction between an MBA and MS in Leadership increasingly important. MIM programs are similar to the MS in Leadership. While the MiM has its roots in Europe and Asia, it’s becoming an increasingly popular field of study in the United States. A study from The Economist found that approximately one-third of global employers intend to hire a candidate with a MiM degree in the near future. The study was completed in 2015. According to PayScale, the MiM degree can lead to many similar job roles as the MBA, but with slightly lower salaries. For example, Human Resource Manager salaries for MiM graduates ranged from $43,852 to $96,299. The GAC specializes in in programs involving the project management field. A GAC accreditation is designed to show that a program meets global standards for project management competencies and continuous improvement. The ACBSP serves on the Principles for Responsible Management Education and serves with the United Nations Global Compact to guide the future of business education. The ACBSP works exclusively to accredit specific programs and does not assess the actual institution. The AACSB is a global accreditation body focused on driving engagement, innovation, and quality across business programs throughout the world. Its goal is to ensure business schools have a positive influence on the global economy. The regulating body is designed to ensure that states honor programs from other regions, ensuring that institutions meet common standards for quality across state lines. It is possible, but unlikely, that a degree earned in non-compliance will be invalidated, but all but six states have entered reciprocity agreements through NC-SARA. There are no licenses or certifications associated with a Master of Leadership program, because the broad curriculum does not apply to industries managed by a regulatory body. However, career seekers getting an MS in Leadership to advance in a specific career may need to consider any corresponding regulations. For example, an individual seeking an MS in Leadership to pursue an administrative position in the education sector will also have to consider state certifications. The recession of the early 2000s placed a greater emphasis on business efficiency and productivity. As the pressure of the recession took hold, organizations became more aware of the need to lead employees to positive outcomes, as opposed to simply managing them. This shifting operational climate has resulted in a situation in which management and leadership skills are increasingly merging, because managers must lead the way to productivity and efficiency. Frequent change is likely to continue through at least 2022, a PricewaterhouseCoopers (PwC) study found. According to PwC, Managers are facing more pressure to respond to change and keep employees engaged despite shifting operational demands. What is driving these changes? 53% of respondents said technology. 39% pointed to resource limitations and climate change. 36% said new global economic power dynamics. 33% noted demographic changes in the workforce. By 2020, PwC anticipates change will still be happening, and businesses will need to improve in key areas including relationship and social capital management as well as their ability to deal with a blending in personal and work lifestyles. All of these developments point to a need for leaders that can motivate, engage and relate to workers. Many universities also provide financial aid and scholarship opportunities, with a particular emphasis on opportunities for active military members attempting to gain leadership expertise. Why should I earn a Master of Science in Leadership? Your Master of Science in Leadership can help you develop the skills required to become a leader in your organization, and leaders are in high demand. This degree is also highly flexible and applicable across various verticals/industries. What can I learn with a leadership degree? A typical MSL program aims to integrate a foundation of leadership knowledge along with the development of executive skills. Students combine theory and application to understand the concepts of decision-making, conflict and change management, communication, and approaches to leadership. Is a leadership degree only specific to business? What is the difference between an MBA and an MSL? While both the MBA and the MSL can prepare you to become a leader, the focus of each program varies. MBAs are more theory-focused, whereas an MSL is more focused on application. A typical MBA curriculum will cover components of a business such as finance, marketing, and accounting. However, an MSL focuses on concepts like strategic thinking, ethical development, and people development strategies to help develop people-oriented leaders. What’s the difference between an MSL and MSOL? While similar, the Master of Science in Organizational Leadership is usually specific to careers in business, whereas the MSL can span across a variety of industries. MSL degrees often include concentrations in organizational leadership for those looking to specialize in the field. Are there any associations specializing in leadership? What kind of skills can I gain from a leadership degree? What are the typical courses offered in a leadership program? Do leadership programs involve a capstone or research paper? Yes, a majority of leadership programs include a require capstone or research paper. This final project usually requires students to apply what they’ve learned throughout the program to solve an organizational problem and helps students apply their degree to their careers. Some programs also include a leadership development portfolio which allows students to set and track personal development goals and growth throughout the program. While requirements vary by school, most MSL programs do not require the GMAT or GRE. Do I need a BA in Leadership to get a leadership degree? No — most leadership programs accept students with a general bachelor’s degree. Can I work while I complete my leadership degree? Yes. As the leadership degree is most suited for mid-level working professionals, many online leadership programs prefer students who are working so they can apply what they’ve learned and develop their skills around their specific roles. What is the primary motivation of individuals seeking a leadership degree? The primary motivation of professionals seeking this degree is to advance their career. However, because the leadership degree is universal, it can also aid individuals who are looking to transfer to another industry or field. How long are leadership programs? Because many leadership students are working full-time and looking to advance their career, typical leadership programs take 18-24 months to complete. How many credits are needed to complete a leadership program? Most leadership programs comprise between 24 and 48 credit hours. Can I complete a Master of Leadership online? Yes. Many institutions offer Master of Leadership degrees online. What kind of accreditations should I look for from leadership programs? Where do leadership graduates go on to work? The MSL degree prepares individuals to seek executive-level positions at large organizations, become small business owners/managers, or pursue roles as team leaders for innovative organizations. Graduates typically seek a careers in which they can utilize their decision-making skills and entrepreneurial insights. What industries can I work post-graduation? What is the job outlook for careers relevant to leadership? In which industries is there a strong job outlook? What is the projected job outlook by title? Do I need other degrees in addition to my MSL degree to earn an executive position? While you will never be guaranteed an executive position, a large percentage of the highest-paid leaders often hold certifications or additional degrees. For example, a human resources manager may acquire a certification in addition to a leadership degree to combine his or her leadership skills with specialization in human resources. Earning a leadership degree with a concentration in your industry is also an excellent way to show your commitment to the field while still developing a strong body of knowledge and skills in leadership.